Product prices and availability are accurate as of 2019-04-18 22:50:57 CDT and are subject to change. Any price and availability information displayed on http://www.amazon.com/ at the time of purchase will apply to the purchase of this product. Perhaps of all the books in the New Testament, James most squarely focuses on results. His pull-no-punches approach to spiritual maturity, his preference for action over words, makes his text the perfect backdrop for a study of how to grow in our faith. 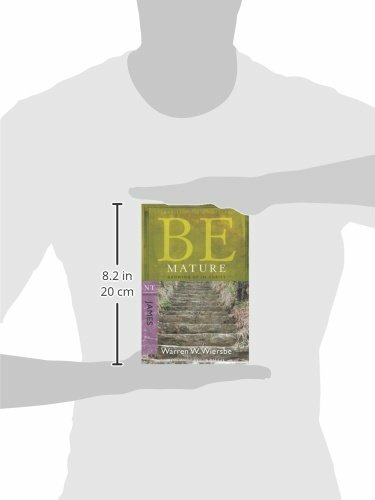 Beloved author and teacher, Warren Wiersbe, leads you through this practical book with advice on how to overcome temptation, controlling the tongue, effective prayer, and how to practice what the Bible teaches. 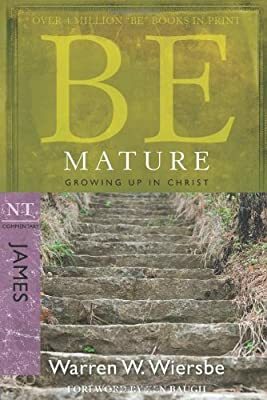 If you're going to make progress in these areas, you will need a growing faith and dependence on Christ because as James claims, "Every good and perfect gift is from above." 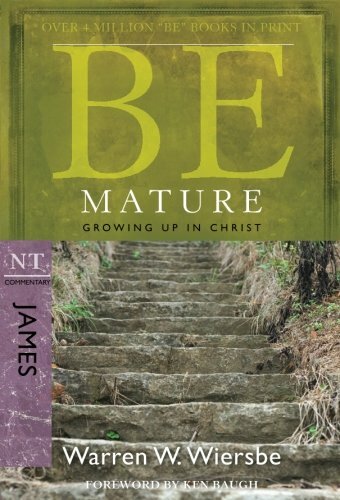 Now with study questions and updated foreword by Ken Baugh, Be Mature makes the perfect guide through your study of James. 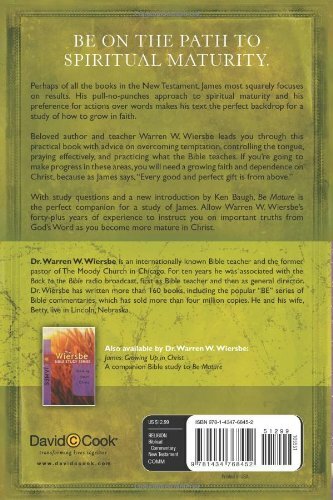 Trust Warren Wiersbe's 40+ years of experience to instruct you on important truths from God's Word.